This is BIG. 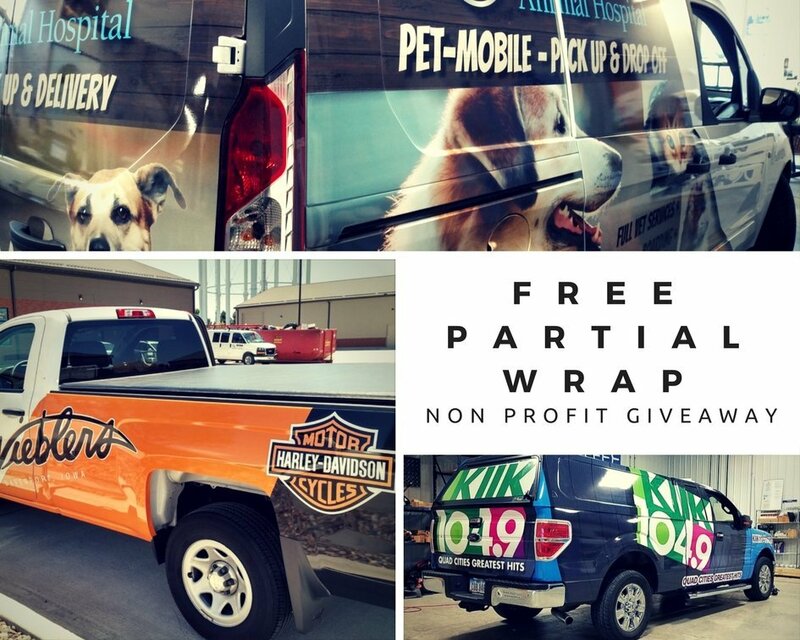 It’s the season for giving, which is why we are deciding to give away a free partial vehicle wrap to a non-profit in the Quad Cities. We know it can be hard to fund all of your advertising needs, which is why we want to help. A vehicle wrap is one of the most effective forms of advertising. Please share with anyone you know who may own, work for, or volunteer for a non-profit. This is an amazing opportunity for a non-profit that uses a vehicle, but doesn’t have the extra funds for a vehicle wrap. The winner will be chosen on Wednesday, December 20th! This is the biggest giveaway we have done yet. Please help us get the message out!